A new type of cancer drug that acts as a ‘Trojan horse’ to get inside tumour cells has shown promise in patients with six different cancer types. In patients with advanced, drug-resistant cancers, over a quarter with cervical and bladder tumours, and nearly 15% with ovarian and lung tumours, responded to the new treatment. The drug, called tisotumab vedotin (TV) and co-developed by Genmab and Seattle Genetics, is made up of a toxic drug attached to the tail end of an antibody. The antibody is designed to seek out a receptor called ‘tissue factor’ – present at high levels on the surface of many cancer cells and linked with worse survival. Binding to tissue factor draws the drug inside cancer cells, where it can kill them from within. They saw responses in 27% of patients with bladder cancer, 26.5% with cervical cancer, 14% with ovarian cancer, 13% with oesophageal cancer, 13% with non-small cell lung cancer and 7% with endometrial cancer (although not in any men with prostate cancer). The majority of patients in the early trial had advanced stage cancer that had already been treated with, and become resistant to, an average of three different types of treatment. 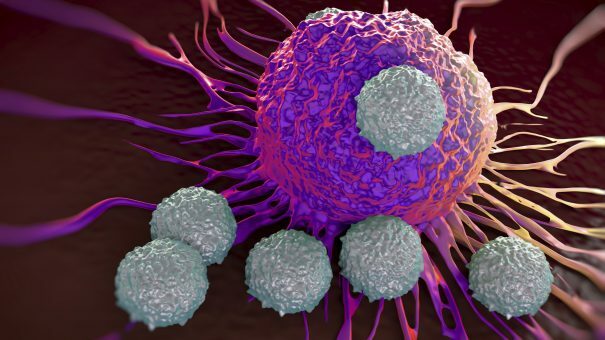 Genmab has seen a string of successes in recent months – most recently its Darzalex (daratumumab), co-developed with Sanofi, saw promising results in a phase 3 trial for the lucrative indication of multiple myeloma.